Ah, Small Town, USA. Sitting on the front porch on a Spring eve, basking in the glory of one the most unique beers we’ve ever had. Well, actually, we were sitting in a NYC apartment. Wauconda, Illinois based Small Town Brewery specializes in root (actual) beer, with 3 varieties. We tried the 5.9% ABV one, their only year-round brew, and are now dreaming about the opportunity to taste the 10% and the 19.5% (!!!) ones. They also feature some awesome-sounding beers on draft at the brewery, like Grandma’s Apple Pie Beer, Agave Lime, and Peach Cobbler. How is it? 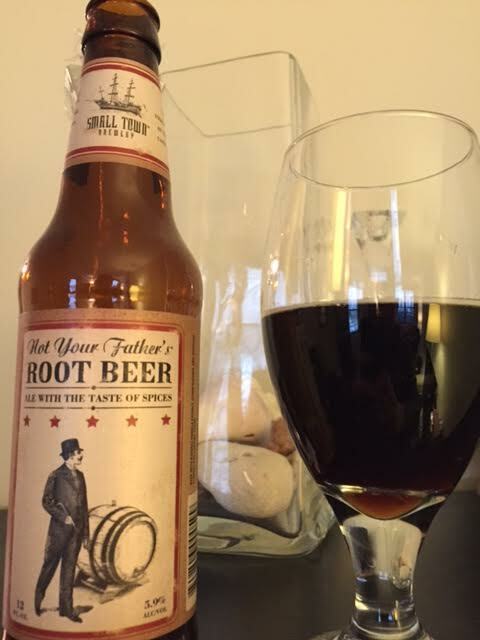 It looks, tastes, and smells exactly like non-alcoholic root beer, in the best way possible. This was like drinking a lower-carbonated version of your favorite childhood memories. No alcohol heat and not overly sweet. Next up: Not Your Father’s Root Beer floats!! Not Your Father’s Root Beer… Floats! ← Where’s The Beer NY’s 2nd Beer Share!